You’ve probably put a lot of work into strengthening your upper body to make lifting, pushing, and pulling heavy loads a cinch. But what about your grip strength? 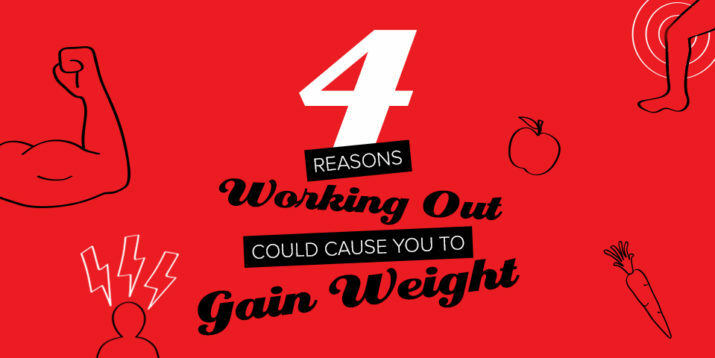 Chances are, unless you’re doing forearm workouts, it’s relatively weak. “The forearm flexors — wrist flexors, really — are the same muscles that help us grip everything from a barbell to a doorknob,” explains Neal Pire, C.S.C.S., F.A.C.S.M., New Jersey-based trainer and national director of wellness services at Castle Connolly Private Health Partners. “From bags for work, to kids, to suitcases, to furniture, we all have to carry things. 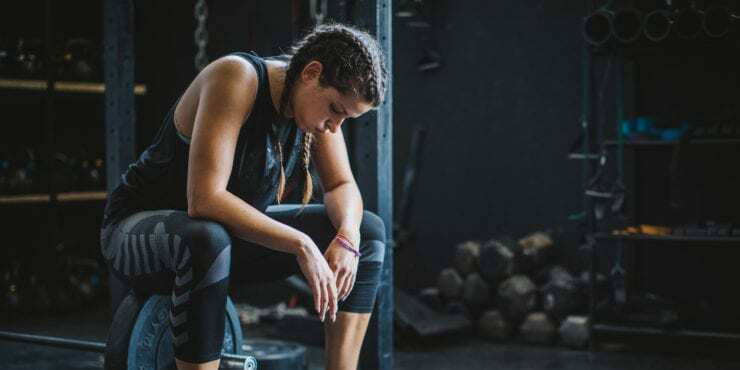 Having forearm strength, and therefore grip strength, means you have the ability to pick up heavy stuff and move it around,” says San Diego-based trainer Pete McCall, C.S.C.S., founder of the All About Fitness podcast. Building strong forearms is especially important for serious weightlifters: “The stronger your grip, the more you can lift in moves like overhead presses, deadlifts, kettlebell swings, clean-and-jerks, biceps curls, and bench presses,” McCall adds. Of course, it’s not solely about lifting heavier loads — working on grip strength (specifically forearm exercises) can also increase the size of your forearms, Popeye-style, adds Openfit fitness specialist Cody Braun. The forearms are made up of a bunch of smaller muscles that move in four main ways, Pire explains: wrist flexion (bending your palm inward), wrist extension (raising the back of your hand), forearm pronation (rotating the palm down), and forearm supination (rotating the palm up). Working all ranges of motion will help better balance forearm development, and therefore help with everything from opening jars to swinging a golf club, he adds. Keep in mind, though, you’re probably building your forearms a bit without even realizing it. 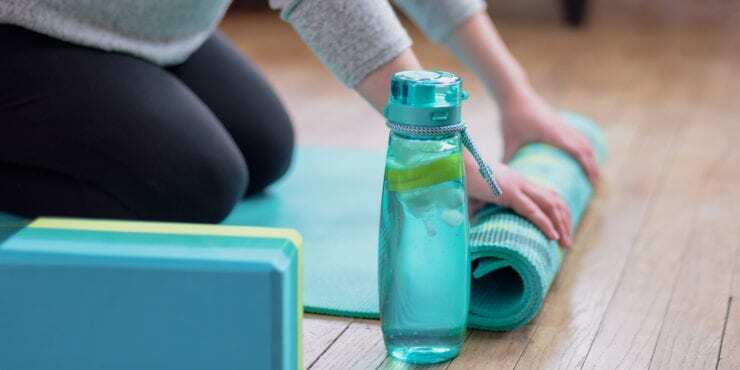 “Any exercise that involves gripping and more specifically pulling, is going to place huge demands on the flexors of the fingers and wrists,” Pire adds. We’ve rounded up some of the most effective exercises to improve grip strength and help develop bigger forearms. Braun suggests slotting a few in at the end of an upper body workout as a burnout for grip strength. That way you can maximize your lifting potential during exercises that also build grip strength, he explains. Benefits: Don’t be deceived by how easy this move sounds — this simple motion helps target and strengthen your wrist flexors, which are crucial in building grip strength. 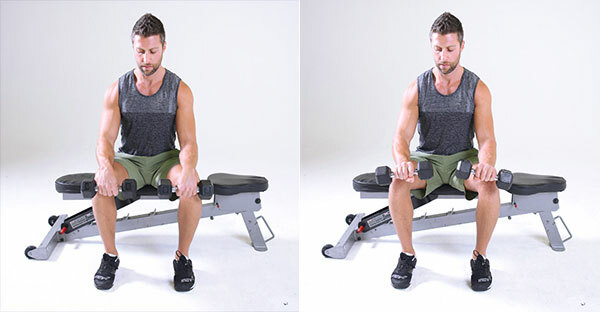 Sit on the edge of a bench or chair holding a dumbbell in your right hand, and place your right forearm on your right thigh, with the back of your right wrist on top of your right kneecap. 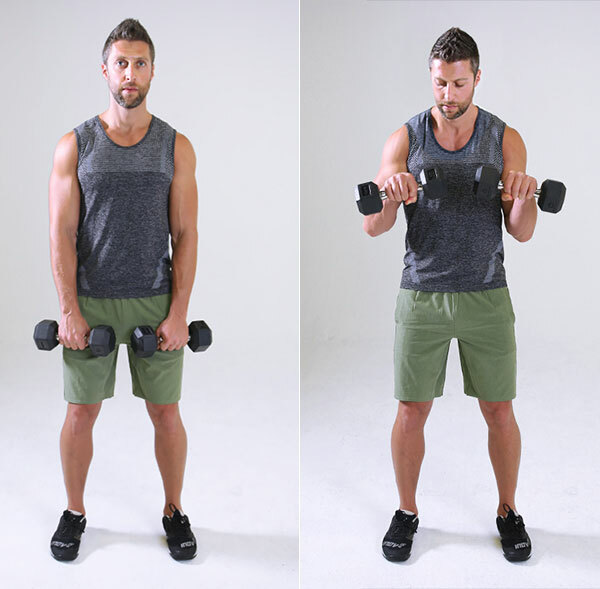 Moving just your hand, slowly lower the dumbbell as far as you can, maintaining a tight grip throughout the movement. Without lifting your arm off of your thigh, curl the dumbbell up toward your bicep, and slowly lower the dumbbell back to neutral. Repeat to fatigue, then switch sides, performing equal reps on each. Benefits: The inverse of the wrist flexion move, this extension exercise helps add size and strength to your wrist extensor muscles. 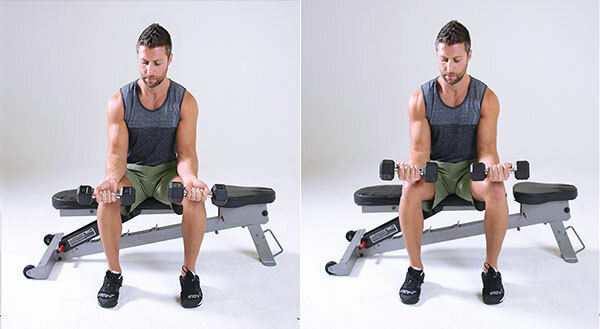 Sit on the edge of a bench or chair holding a dumbbell in your right hand, and place your right forearm on your right thigh, palm down, with your right wrist on top of your right kneecap. 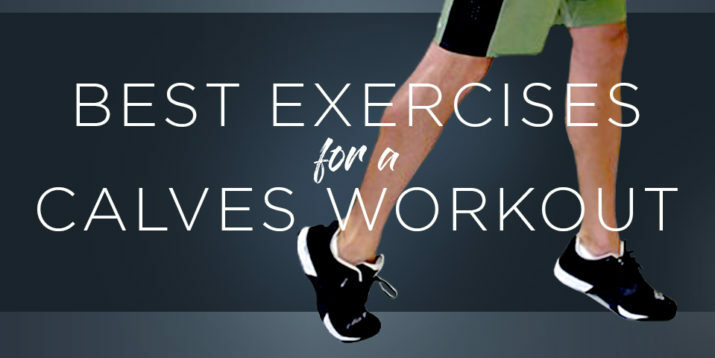 Without lifting your arm off your thigh, curl the dumbbell up as far as you can towards your bicep, maintaining a tight grip throughout the movement. Slowly lower the dumbbell back to neutral. Repeat to fatigue, and then switch sides, performing equal reps on each. Benefits: Here, you’ll work two crucial forearm muscles, the brachioradialis and pronator teres, as well as the brachialis, an assisting muscle that will help build elbow flexion. Benefits: This move builds the wrist and finger flexors, as well as engaging just about every other muscle in your body. The best part? It’s a super functional move, and will definitely give you a new appreciation for how many groceries you can really carry at once. 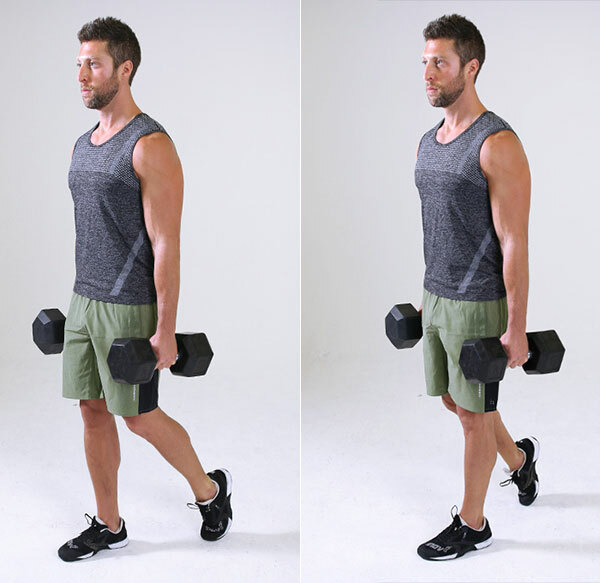 Stand with feet hip width apart, holding a pair of heavy dumbbells at your sides, palms facing in. Keeping your core braced and your spine straight, walk in a straight line with your shoulders engaged for distance or steps. Benefits: This bodyweight exercise helps build not just your wrist and finger flexors, but it’s a great lead-in to tackling scapular pull-ups and other pull-up variations. 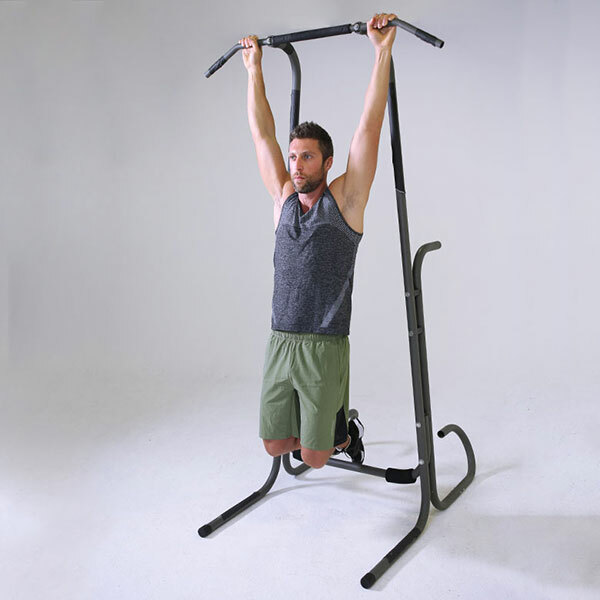 Grab a pull-up bar with a shoulder-width grip, palms facing forward. 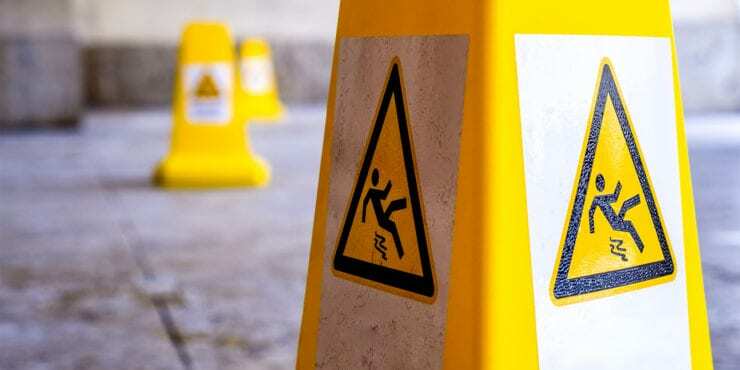 Hang at arm’s length for 30 seconds with your arms straight and your ankles crossed behind you. Benefits: Similar to the pull-up bar hang, dangling with a towel also works your wrist adductors, forcing a different — and, arguably harder — grip angle and intensity. Drape two small workout towels, shoulder-width apart, over a pull-up bar. Reach up and grab a towel in each hand with a tight grip. Engage your core and lift your feet off the floor, hanging with your your ankles crossed behind you for as long as you can.